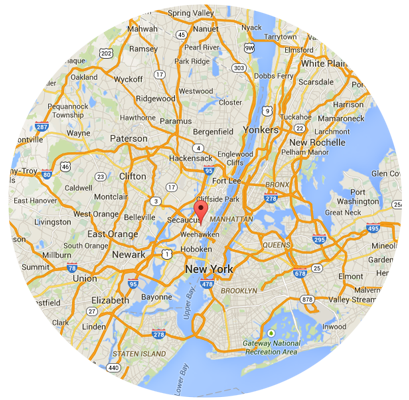 Garage door repair service 7 days a week to New Jersey and surrounding areas. One of our expert technicians will have your garage door running again in no time. We fix garage doors right the first time around! We are the PROS when it comes to Garage Doors! No matter what problem your garage door is having - we can fix it today! Our technicians always use the highest quality torsion & extension springs to make sure they last for a long time! Your garage door will be running smoothly again in no time. Is your garage door getting old and damaged? Purchase a brand new or quality used door to upgrade the look of your home, and the function of your garage door opener.  We stock every available garage door part to repair or install your garage door. Whether you need new cables, you have bad sprockets, or you have bent tracks, our technician will be equipped to fix it. We install and sell brand new garage door weather seals that help you keep the rain, dirt and bugs out of your garage. Has your garage door opener stopped running? Don't hesitate to call the best, we always stock the top models in the industry and install and repair every brand available. Our technicians are experienced and certified to repair and install warehouse doors, roll-up garage doors, security gates, gate openers and more! No job is too large for us. Our technicians are experts at repair crashed and broken garage doors. If your door has ran off the tracks, give us a call and we will have it fixed today! Garage door panels tend to bend and break when the garage door is used on a daily basis, have one of our technicians come out and replace them with brand new ones. If your garage door is noisy, going slower than normal, or jumping off the tracks, then it is time for a tune-up. One of our expert technicians will perform all of the maintenance and tune-up work to ensure your garage door continues running smoothly. Couldn't be happier!!! Everyone that we dealt with from this company was very professional & prompt. Their pricing is pretty amazing. They were the first and only company that we called when our 2 car 1984 garage door came crashing down and shot the spring outside of the door. They were able to give us an appointment within a day or 2 of us calling. The estimate was great and informative. At no time did we receive any pressure or feel like we were being upsold into something we didn't need. The installation was flawless and the warranty is outstanding. You don't find this type of service often. They are our new and only GoTo Garage Door Service Company from here on out. Very professional from the start, on time for the appointment Saturday morning to take a look at the garage and tell me what was wrong, and what needed to be fixed. I had called other companies, and felt the most comfortable going with this Garage Door Service. They seemed most knowledgeable and honest. This is my second time using them and both times were good experiences. Last night the spring broke on my double door so I called A1 at around 8am and spoke with Lindsay. She was very helpful and right away looked for someone to come out. The tech was at my house before 9am. He recommended I upgrade to a double spring which I agreed with. He was very professional and got the job done in about 20 minutes to a half hour. The door sustained some damage and he was able to get my door working without having to replace any panels enabling us to still use the door and get the panels at a later time. Overall I would say that this company is great and I highly recommend them.